The relationship between the UK British Airways and Royal Brunei Airways is being expanded and the new agreement sees the Brunei national carrier extend its network from 11 to 23 airports in the UK. The new arrangement expands the two carriers relationship, which dates back to 2014 and sees British Airways offer even more domestic connections via Heathrow to UK regions, including Manchester and Glasgow, it will also offer connections from select European cities as well. Passengers will be able to check bags through to their final destination and get boarding passes at the first check-in desk. Business class passengers will be able to access executive lounges of wither airline. Karam Chand, CEO of Royal Brunei said, "Europe, and particularly the UK, is a vital market for us. British Airways is a renowned airline and we’re delighted to partner with them to add 12 new destinations to our network, bringing more guests from across the region to Royal Brunei Airlines." Chand added, "With the youngest fleet of any airline worldwide, Royal Brunei’s guests can travel in comfort on B787 Dreamliner and A320neo aircraft to a broad range of destinations, such as Kota Kinabalu and Kuching in Borneo; Ho Chi Minh City in Vietnam; or the undiscovered treasures of Brunei. We’ve also recently added Brisbane to our network, with flights starting in June, just in time for the UK summer holidays. As more travellers look to expand their horizons with visits to Asia and Australia, we’re looking forward to introducing our service, generous entertainment options and competitive fares to new customers in Europe." The carrier recently restarted services to Narita, Tokyo from its home base of Bandar Seri Begawan on its new Airbus A320neo “We made a very conscious decision to select A320neo as the aircraft of choice for our markets including medium haul markets like Tokyo. The cabin features and aircraft capabilities allows us to pioneer new routes of up to 7 hours in duration which were previously the domain of widebody aircraft. 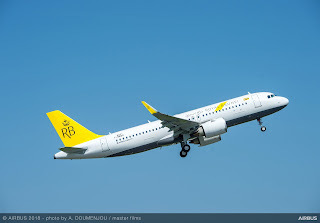 The A320 family of aircraft is becoming the aircraft of choice for new long thin markets and RB is one of leading airlines to leverage this on the Tokyo route and soon Brisbane and Beijing,” Chand said. Royal Brunei Airlines has also recently announced that due to operational reasons, it is having to delay the start of its new Changsha service for a second time. 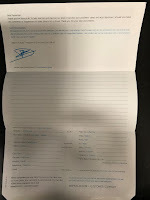 Originally, the airline planned to start the route on 15th January 2019, which was then deferred to 2nd April 2019 and now has been delayed until 16th April 2019.